You would think that all this hard work would end in a great reward for the hero in question, and you'd be right, for there are indeed many benefits associated with being one of the temple-owners in Godville. Pantheon of construction - Obtaining one golden brick will place a hero on the pantheon of construction. This pantheon is ranked by temple completeness. Generally, the more bricks a hero obtains, the higher he will ascend [too slowly for you to care about it]. Third Eye - After collecting 50 gold bricks a hero will unleash a latent mystical power from his Third Eye! As he collects more bricks this ability will increase in power. Initially at least, obtaining the 1,000th brick will not automatically complete a hero's temple. They must still complete the current quest, return to Godville, and place the last brick. Luckily, once that last brick is obtained, the hero will focus on the quest with vigor; even an epic quest can complete in a few minutes. It's probably like those stories where mothers suddenly gain superhuman strength to lift cars off their trapped children, or it might not be. It isn't important. Anyway, after the current quest meter hits 100%, the hero will sprint back to Godville then get drunk, lost, handed into 'lost property', collected and finally remember that they have a job to do. All the while, the God is forced to wait [impatiently]. Good news though: according to the principles of science, a lightning bolt or two applied to the rear will cause a temple to be completed at breakneck speed. Carefully placed the last brick, swept all the rooms, opened all the doors and stately cut the ribbon with my sword. I can’t believe it's finally happened! After these many months of work, the temple in your name is finished, my Lord! I'm feeling crazy with happiness! 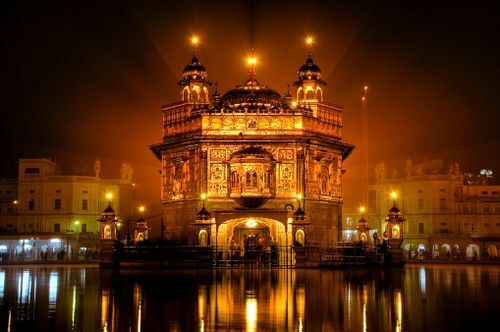 Respect and Adoration – Completed temples earn either respect and adoration or sneers of envy from fellow gods. Pantheon of Templehood - Upon completion of a temple, a hero moves from the top of the pantheon of construction to the bottom of the pantheon of templehood. Well that was useful, at least it gives you another excuse to punish your hero (who am I kidding, we don't need excuses!). Pantheon of Savings - Heroes can start saving for retirement and will earn a place on the pantheon of savings after saving 1,000 gold coins. Free Accumulator Charges - "A completed and fully functional temple... generates godpower charges when the hero visits the temple (around 1-2 charges per day)." Note that the more charges a God has in the accumulator, the harder it is for that temple to generate new ones. The temple works better when charges are in the two-digits range. Increased Fees, Donations, and Bank Deposits - Generally, a completed temple collects more fees, donations, and bank deposits than a partially completed temple because as a general rule buildings make better tourist attractions than building sites. Miracle - Only temple owners can perform miracles. Nobody knows why. Temple Medal - The temple medal 庙 will appear next to the name of the god. The Chinese character is pronounced as 'miào' and translates as 'temple'. On mouse-over of the medal reveals the time and date of temple completion. Coins to Experience Conversion - Heroes can convert ten thousand, twenty thousand, or thirty thousand gold coins into experience upon return to their temple. This action is one of the first things a hero does upon returning to Godville and will occur before many other Godville activities including selling artifacts, healing, upgrading skills, purchasing equipment, saving, and drinking, but the conversion will not occur if a hero has a knocked out pet. The percentage of level gain resulting from a ten, twenty, or thirty bags of gold sacrifice depends upon the hero's level and the time since the previous bags of gold sacrifice. The higher the hero level, the smaller the level percentage gain. The bags of gold sacrifice works on a thirty-six hour modified cool down timer. Sacrifices made at the start of the cool down have a low conversion rate and sacrifices made at the end of the cool down have a higher conversion rate with the conversion rate maximizing at thirty-six hours. Additionally, coin sacrifices do not carry over to the next level. Accordingly, if a hero is at 99% experience of a particular level and sacrifices thirty bags of gold (30,000 gold coins), the hero will only gain the remaining 1% experience and will start the next level at 0% experience. I placed twenty bags of gold on the sacrificial altar and offered a quick prayer to my Lord asking for a better life… It worked! I felt my experience bar increase in size. Inability to Change Gold Coins into a Gold Brick - Encouragements and punishments will no longer change 3,000 gold coins in a hero's possession into a gold brick. This can help a hero gather enough gold coins to heal a knocked-out pet. Gold Bricks Become Bold Artifacts - A hero can still obtain gold bricks, but they will become normal bold artifacts in the hero's inventory. Gold bricks sell for about 1,000 gold coins. Access to Dungeons - A new way to play Godville. Three to five temple owning heroes may band together at their gods' command (and 50% GP for transport) to explore underground caverns for gold coins, artifacts, boss-monsters, and a log (or sometimes two or three logs). Receipt of Log Donations - On occasion, a hero will find a donated log left at the temple. Many gods find themselves wondering what to do now that they've completed the ultimate goal of having their hero complete a temple for them. At first glance it seems that there are now no further challenges but there are in fact many; so then, what now? The temple medal is not the only type of medal; a god can now attempt to gain the breeder medal (see here). With the new-found miracle skill, a god can now gain town influence for their guild much more quickly, and work on getting their guild up to the top position in the unity pantheon. After all this time, heroes are starting to get old so it may be a good time to try getting them to save for retirement. With the recent addition of dungeons, your hero(ine) can now be sent by the will of their god or goddess into a dungeon to gather logs for their deity's ark. Why are you still not at the top of all the pantheons? Has at least 2 doors. Has at least 2 rooms. Has at least 2 windows that are possibly made from stained glass or "bleached cleaned" stained glass. Has at least 2 corners. 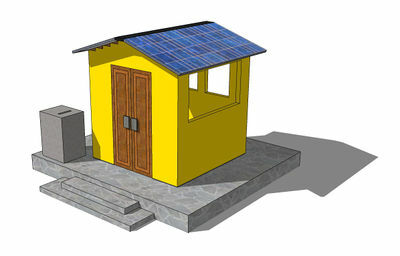 Consists of construction materials other than gold bricks. Contains more than one wall. Uses mortar made from gold dust. The roof, ceiling, and floor are not constructed from gold bricks. Generally, brick buildings do not contain brick floors. Brick ceilings and brick roofs are not standard construction practices. The doors are not constructed from golden bricks. Installation of brick doors is not a standard construction practice. Imagine trying to open that door then imagine trying to design a hinge. The interior walls are not made out of gold bricks. The diary entry that temples have rooms supports the idea that temples have interior walls. Generally, though, brick buildings do not have interior walls made from brick. Additionally, temples can potentially have a basement, which may account for a temple having multiple rooms. Temples have a single doorway with two doors. This supports the symmetry theory. Given the size of temples, it probably doesn't make sense for it to have multiple doorways. Additionally, the multiple rooms note may account for the multiple doors note. 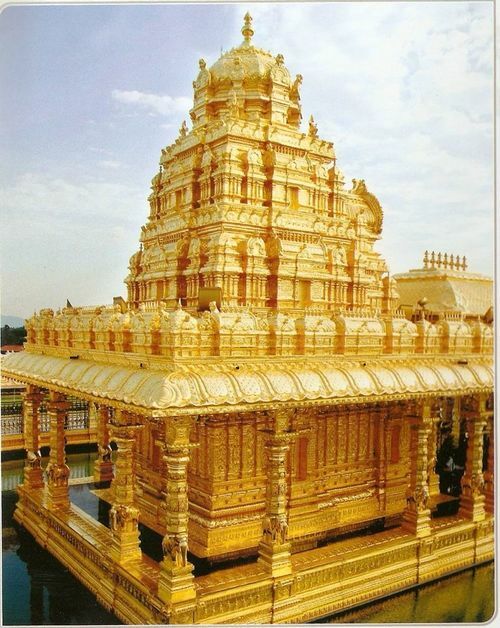 Temples do not have non-gold bricks. It seems the only building materials used are gold bricks, doors, windows, and roofing materials. If heroes could intersperse gold bricks with non-gold bricks, temple size would be limitless. Bricks cannot be cut. A completed temple requires 1000 gold bricks, not 900 gold bricks and 200 halved gold bricks. Bricks are not placed in a standard brick staggered pattern because they cannot be cut. Each gold brick measures 230 mm x 76 mm x 110mm. This is the same size as a standard Australian construction brick. Each gold brick measures 303 mm x 100 mm x 145mm. 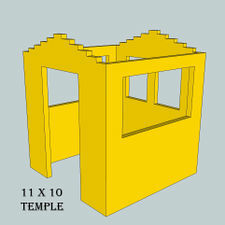 Many configurations of 1,000 gold bricks satisfy the known and hypothesized temple attributes. It would appear that temple construction differ by hero. The brick face is a rectangle so the wall will be rectangular too and this means that the ceiling and roof (both equal) will be of different dimensions to the equally sized walls. Therefore we will need to do some calculations if we want to get as close to a cube (with all faces of equal area) as possible. First of all we need to find the ratio between the brick face length and width which is 23/7.6 = 3 (meaning that the length of the wall will be 3 times larger than its height). Therefore we can say that 3x multiplied by x (where x is the length) is the area of one wall since the area of a rectangle is its length x width. This simplifies to 3x2 and we need four of these walls so it becomes 12x2. Now we need a ceiling area since we won't want to build the floor from bricks. Since this is a cube, we can simply use one more 'wall', adding 3x2. This is also virtually the area of the floor, which is perhaps just enough if a god is easily satisfied by small things. The height of the wall as we have already calculated is 1.824m and since the average human height is 1.5 - 1.8m this should fit the majority of heroes into the temple comfortably. 960 out of the 1000 bricks have been used and since even more bricks will be left over when some are removed from the walls for windows and a door, the cube design for a temple is inefficient unless a hero wants to use more bricks decorating the temple with spires and what not instead of using them to build a spacious place of worship. However; if the hero doesn't build a gold brick ceiling and uses something like palm leaves instead, with no ceiling the temple becomes larger, with wall length=9 bricks, a floor area of 4.3m2 and a height of 2.07m, using 972 bricks, is possible. ↑ Do I really need a citation for this? ↑ 4.0 4.1 In September 2012, the hero diary entry from completing a temple stated: "Carefully placed the last brick, swept all the rooms, opened all doors, and cut the ribbon in a stately manner with my sword. I can’t believe it’s finally happened! After all these months of work, the temple in your name is finished, my Lord! I feel crazy with happiness." Use of the plurals "rooms" and "doors" demonstrates that there are at least two of each. ↑ In December 2012, the hero diary entry for completing a temple stated: "Dearest diary, today was the day! I carefully laid the last brick, swept all the rooms, opened all windows to let your glorious light shine in. I can't believe it, your temple is finally finished, my Lord! I feel delirious with happiness." Use of the plural "windows" demonstrates there are at least two windows. ↑ A hero diary entry states "Found some beautiful stained glass windows for your temple, my Lord! It may take a while to bleach the stains out of them though." ↑ A hero diary entry states, "My quest to <quest name> was a complete success. Got a slightly scuffed golden brick as a reward. I think I’d rather use this brick in the back corner of my temple." If there were only one corner, the hero would just say "corner," so there must be at least one front (or side) corner and one back corner. This also supports a theory that temples are not spheres or cylinders. ↑ Earthly News states: "Realizing he had the temple blueprints upside down." ↑ Earthly News states: "Carefully examining construction materials." ↑ Earthly News states: "Erasing the graffiti from the temple's walls." ↑ Earthly News states: "Mixing mortar from gold dust." ↑ Earthly News states: "Humming hymns while hammering golden nails..."
↑ Diary entry states: "Found a blue brick in my bag in place of my holy powercell. Overwhelmed with annoyance, I threw it into the sky, where it disappeared. My Lady, I thought we agreed on ONE color for the temple!" This page was last edited on 3 February 2019, at 11:08.